Someone once said that golf was “…a good walk spoiled.” I don’t know if that’s true. What I do know is that when you’re suspected of exaggerating your workers comp claim and the Utah Gumshoe is on the green, then the last thing the fairway is going to be…is fair. Such was the case of Fernando Sosa; a case I call the Utah Gumshoe and the mystery of the unknown golfer. I wasn’t really sure if he was the subject. There was only one way to find out. I had to “ID” him. I had to find out his name somehow. I waited patiently as he and his son carried their clubs and bucket of balls over to the driving range. I sat down on a bench behind him and pulled out my video camera. As is common in many investigations, I didn’t now where Fernando lived (his mail went to a P.O. Box), I didn’t know what he looked like and I didn’t know what type of vehicle he drove. So much for the legendary clairvoyance of the hard-boiled private eye. Sometimes there’s a disconnect between the claims adjuster and the private investigator. Claims handlers are so overworked that occasionally they fail to provide all the information they have on a claimant. This is exactly what happened with Fernando’s claim. I grabbed an ice cold Dr. Pepper and sat down at the computer and pulled up my databases. Databases, as in plural. With all deference to Sandra Bullock and the 1995 film, The Net, there is no single database you can use that will tell you the whole story on the client. Furthermore, much of what you find in a database should be confirmed the old fashioned way. With cowhide. Shoe leather. Or, as the Doobie Brothers sang, by “Takin’ it to the streets.” And that’s exactly what I did. I discovered Fernando’s house in Holladay, Utah and set up surveillance. After two days I hadn’t had much success. There were several vehicles at the residence. None of them were registered to the subject and none of them came back to the address I developed for Fernando. Aside from that, a nosey neighbor kept looking out her window at my surveillance vehicle and the cheeseburger I had for lunch was not going down easy. Then, suddenly everything changed. I saw two Hispanic males, both matching the subject’s physical description. Brothers maybe? Lesson #31: When in doubt – videotape. It’s always better to videotape and find out later it wasn’t the subject then to not videotape and find out later it was the subject. I videotaped. They stood on the side of the house talking when a teenager walked out carrying two golf bags. He placed the bags in the trunk and then they split up. Hispanic male #1 returned inside while Hispanic male #2 and the teenager got in the vehicle and departed. What to do? It was like the Clash’s song, “should I stay or should I go?” As a private eye you’re often forced to make snap decisions. Assuming Hispanic male #1 would always be at the house I followed Hispanic male #2 with the intention of identifying him. The golf clubs alone were a good enough reason. I followed the possible subject for what seemed like a long time but was in reality only about 20 minutes. We ended up at public golf course in South Salt Lake. I videotaped the man pulling the golf bag out of the trunk and filmed him as he and the teenager made their way on to the course. I still wasn’t sure whether he was the subject. There was only one way to find out. I had to “ID” him. I had to find out his name somehow. I waited patiently as he and the teenager carried their clubs and a bucket of balls over to the driving range. I sat down on a bench behind him and pulled out my covert video camera. Before attempting to identifying him I thought it best to shoot some video of him on the driving range. After all, if I approached him and learned he was the subject, I couldn’t very well hang around after that. It would be too suspicious. For thirty minutes I gathered film of him bending over, placing the ball on a tee and then pulling the club back and bringing it down and forward until I heard the familiar smack as the club struck the ball. I then watched the ball sail through the air almost out of sight. If he was the subject this was going to be good. Fernando had a back injury and hitting a golf ball is all about bending and twisting the back. After a half hour I put my covert camera away and walked up to Hispanic male #2. “Hey are you Fernando Sosa?” I asked. He turned and looked at me. The moment of truth. “Yeah,” he said. “What’s up?” “I was just up at the pro shop and I guess there’s a phone call for you. I guess it’s important.” (this was years ago before cell phones were common.) He thanked me, handed his golf club to the teenager and started walking toward the pro shop. As George Lopez used to say on the George Lopez show, “Angie…I got this!” I then turned and got out of there quickly before he came back. I spent the next hour videotaping him from the parking lot. It was academy award winning video. According to his doctor Fernando Sosa was a rare and delicate flower. The good doctor obviously hadn’t seen him on the golf course. He had a powerful stroke. 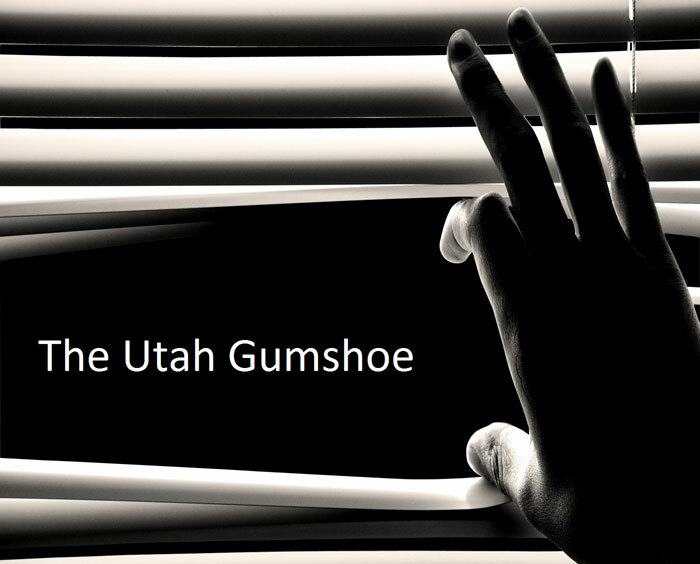 All in a day’s work for the Utah Gumshoe. 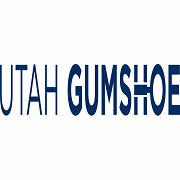 Until next time, this is Scott Fulmer, the Utah Gumshoe reminding you the game…is afoot!